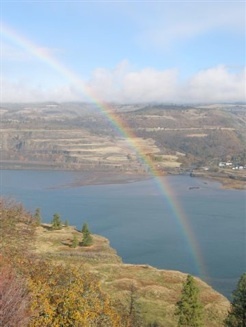 The Columbia River Watershed is vast – spanning two nations, one province, seven states and the homelands of several dozen Native American and First Nations tribes and bands. Each of the nations, states and tribes through which the Columbia and its tributaries flow claim rights to own, allocate and manage its waters. But coordination across boundaries is virtually non-existent. Instead, the “race to the bottom” is on – especially by the states, each looking to capture all available water for its own uses, without regard to the impacts on others. Ignoring transboundary impacts is a foolish proposition. The Columbia Watershed encompasses 260,000 square miles (67.3 million hectares) and is home to scores of major rivers and aquifers. The mainstem of the Columbia River is 1,200 miles (1,931 kilometers) in length. It carries an average of 160 million acre feet (197 billion cubic meters) of water each year as it travels from its headwaters in the Canadian Rockies of British Columbia to the Pacific Ocean, near Astoria, Oregon. Notwithstanding such water abundance, much of the Columbia basin is arid. Water supply is not adequate to serve all demands. Today, however, a paradigm shift is underway – toward sustainable and equitable use of Columbia waters. The Columbia Institute for Water Policy is dedicated to a new vision for the rivers and aquifers of the Columbia Watershed and offers public policy research, education and outreach to reach these goals. Read our mission here.